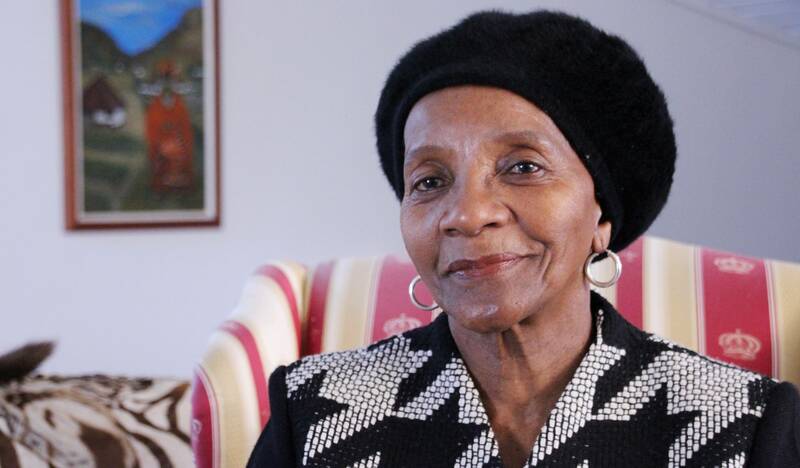 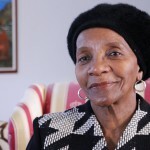 Meet acclaimed writer Sindiwe Magona. 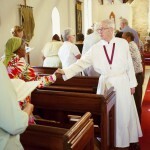 Reverend Jo Tyers fills in on the order during one Sunday Service. 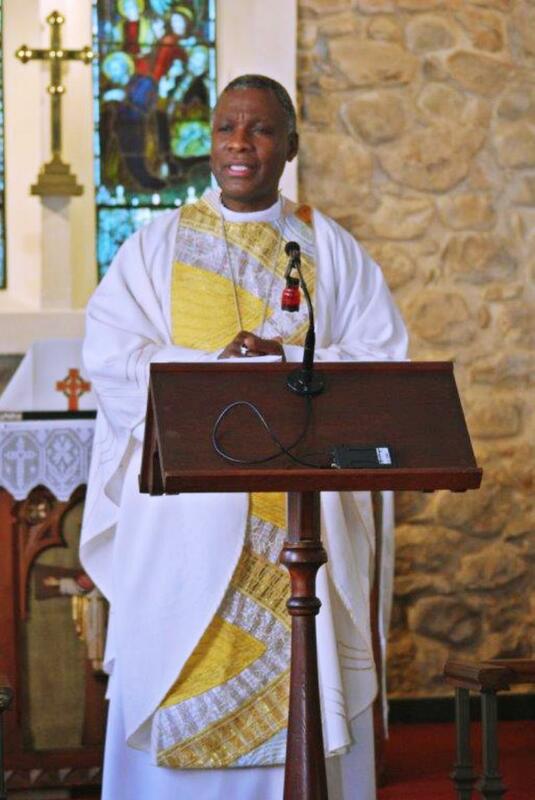 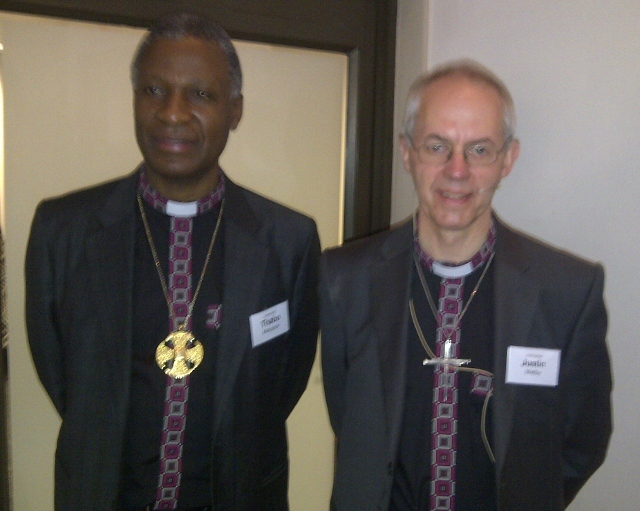 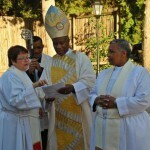 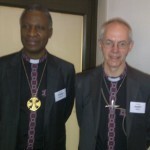 The Most Reverend Justin Welby with the Archbishop of Cape Town, The Most Reverend Thabo Makgoba. 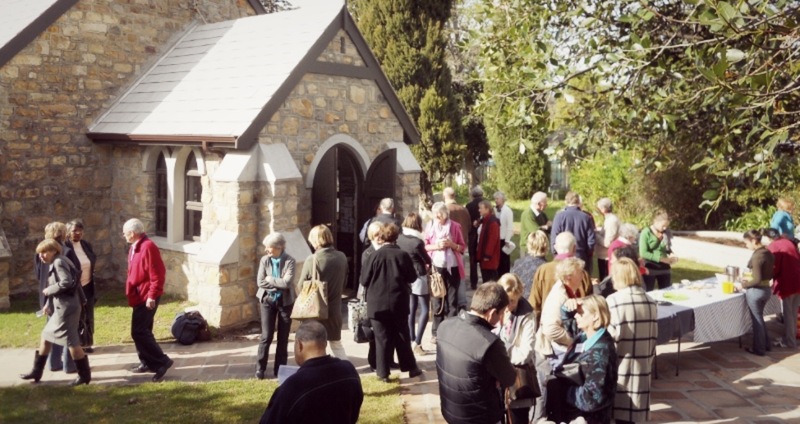 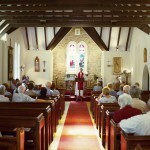 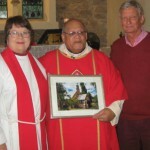 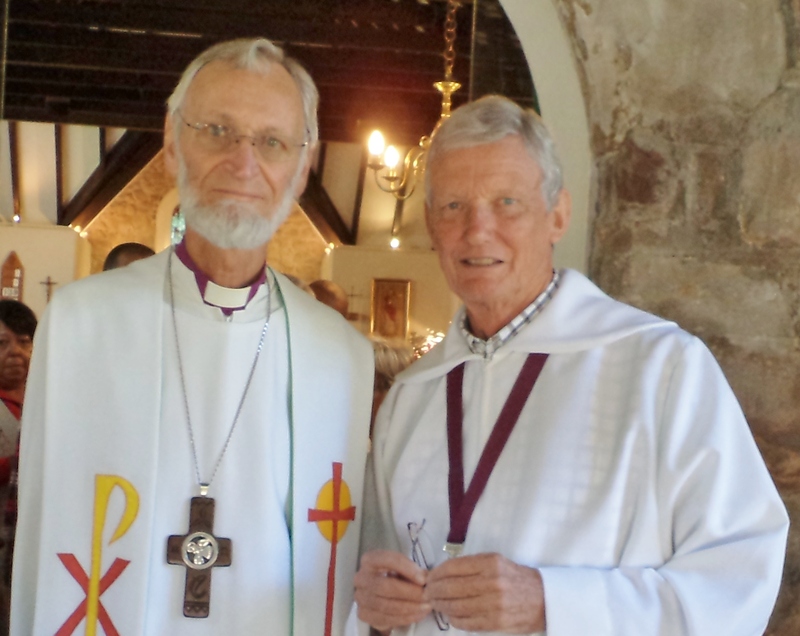 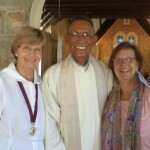 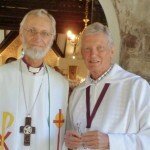 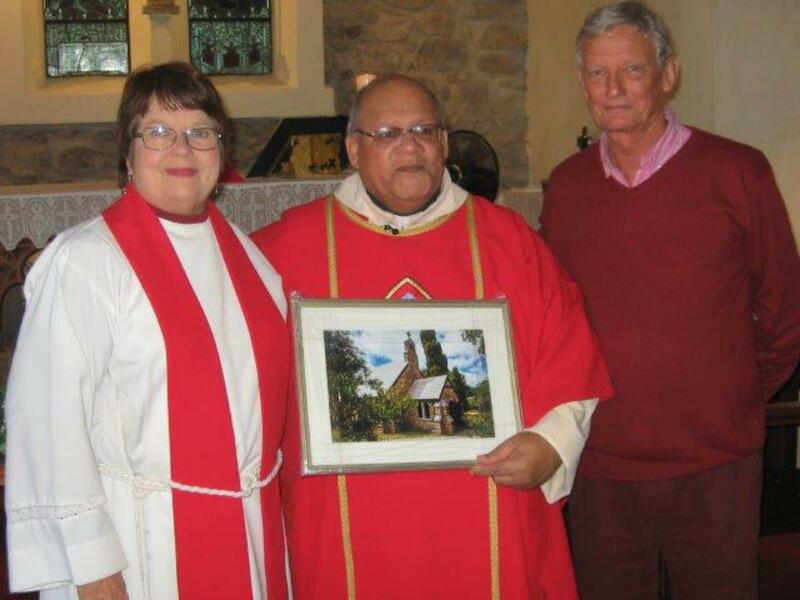 During the service he was presented with a photo of the church taken by well-known photographer, Gary van Wyk. 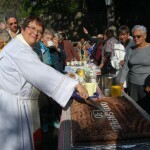 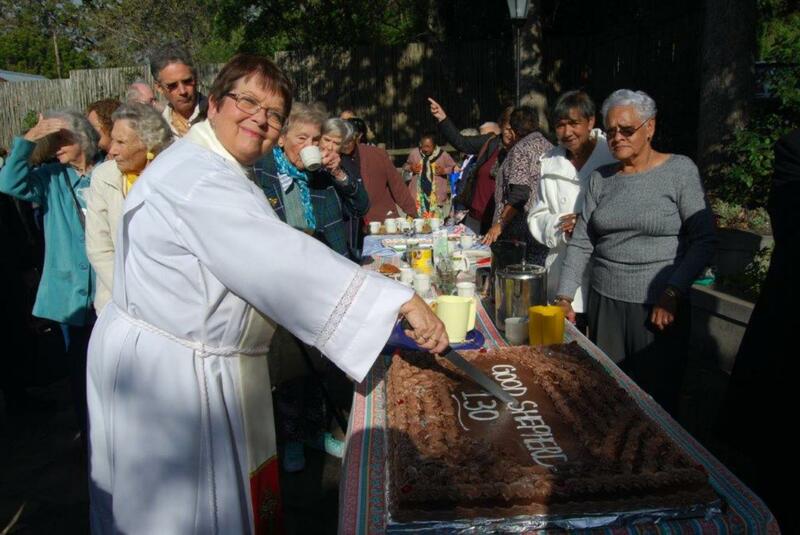 Rev Jo cutting into the enormous chocolate birthday cake. 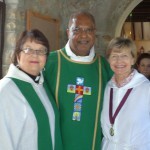 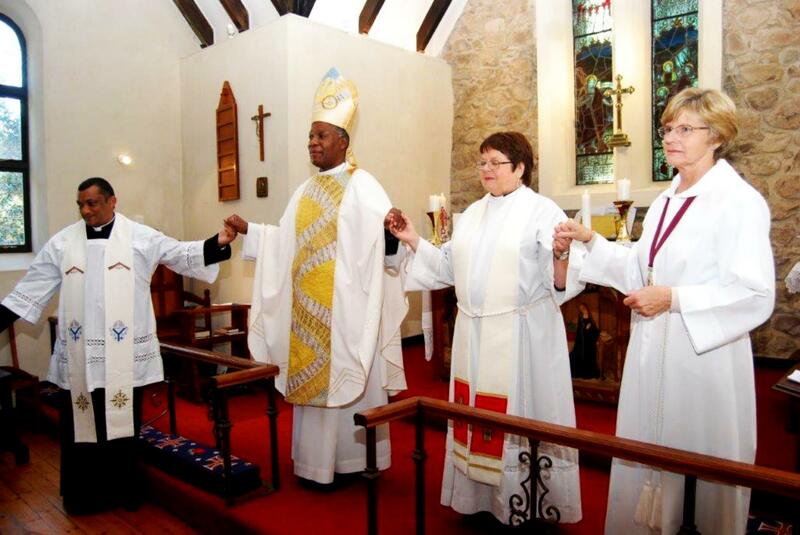 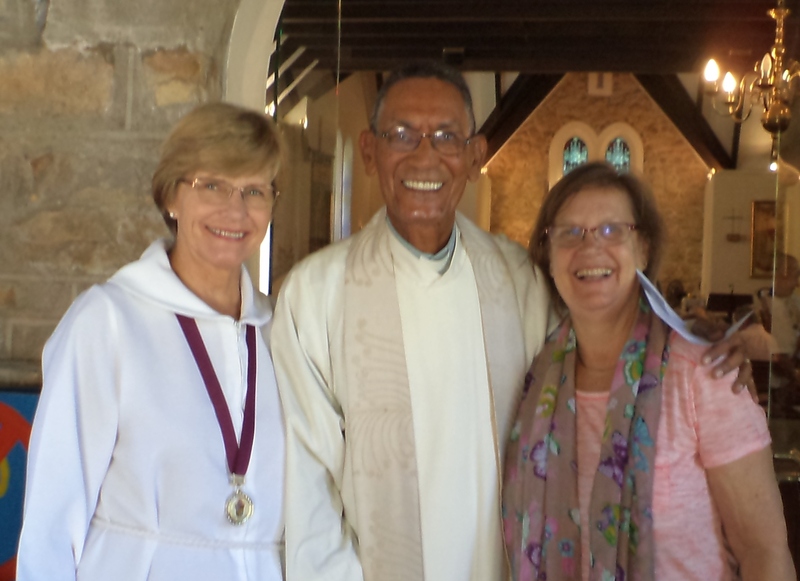 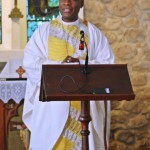 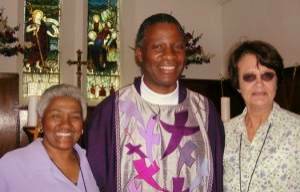 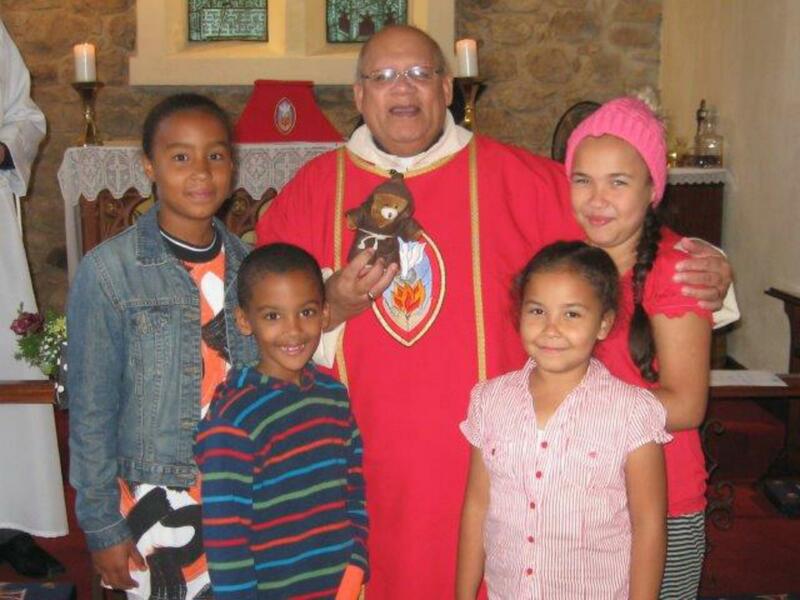 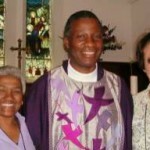 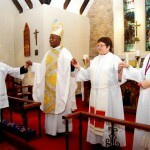 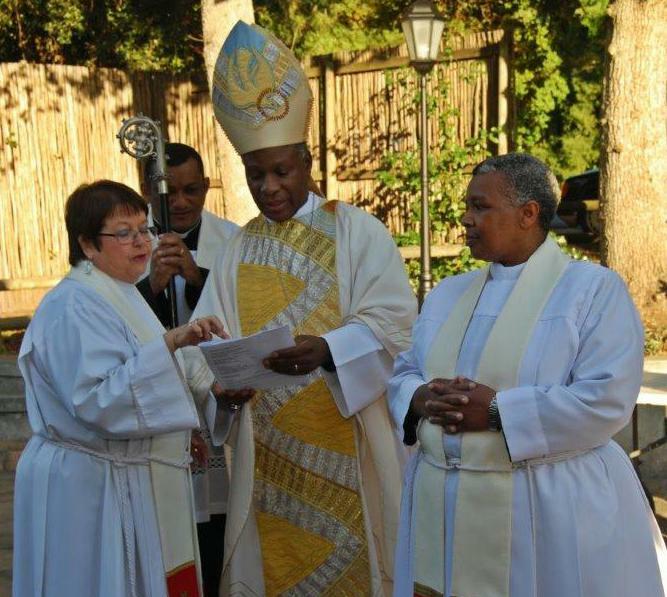 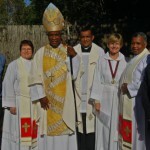 Archbishop Thabo with Jo Tyers (left), Rev Jerome Francis (Chief of Staff at Bishopscourt), Lay Minister Thea Ramsay and Rev Nobuntu Mageza (the Archbishop’s PA). 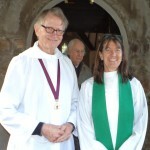 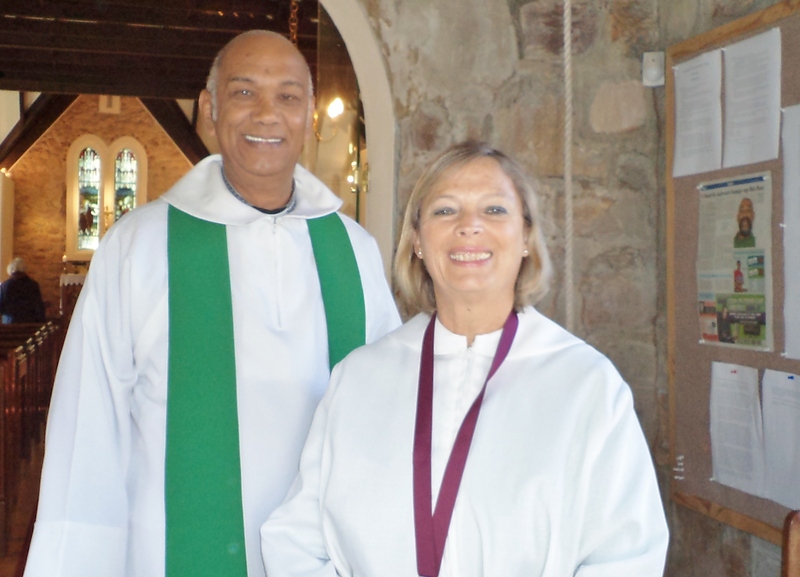 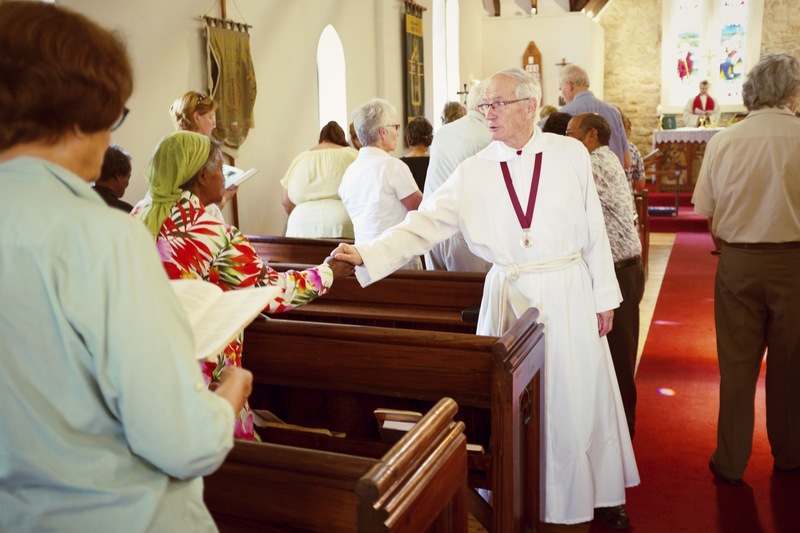 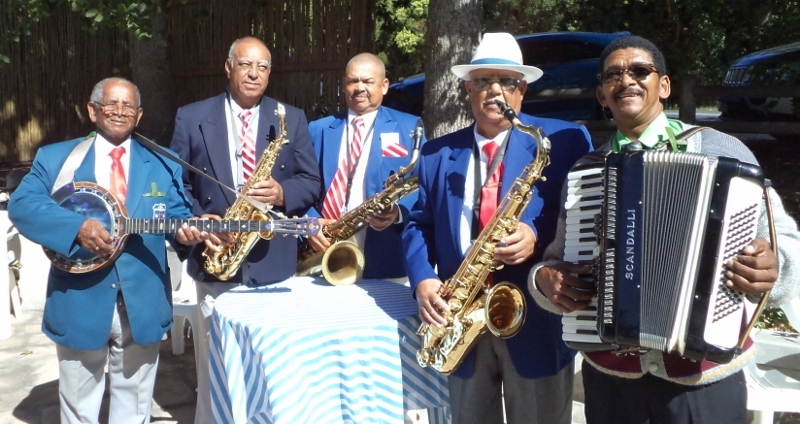 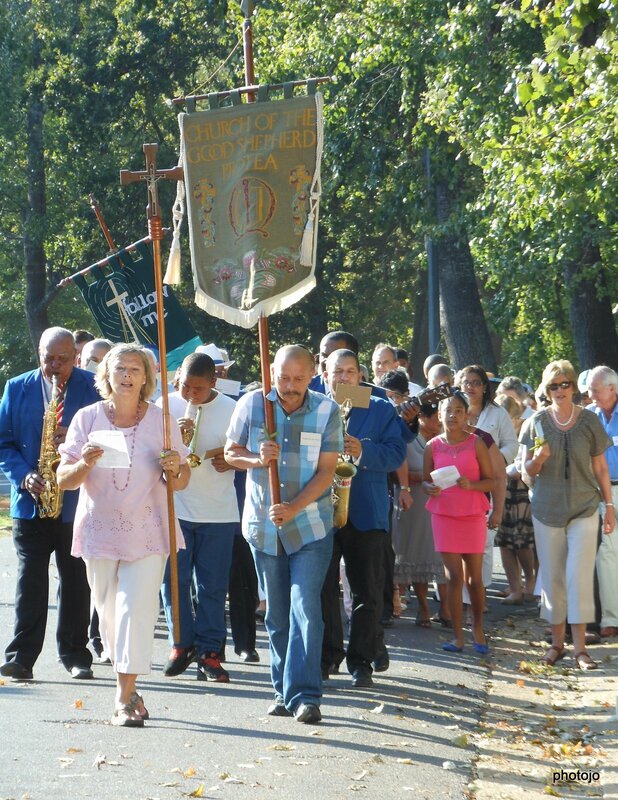 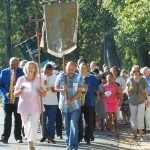 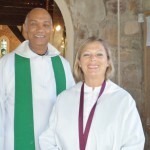 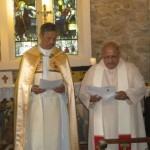 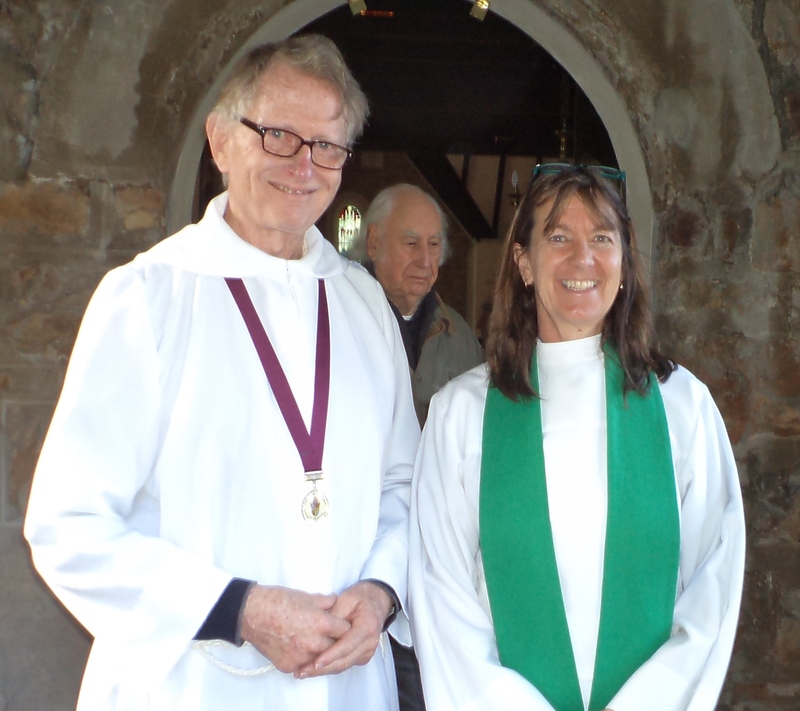 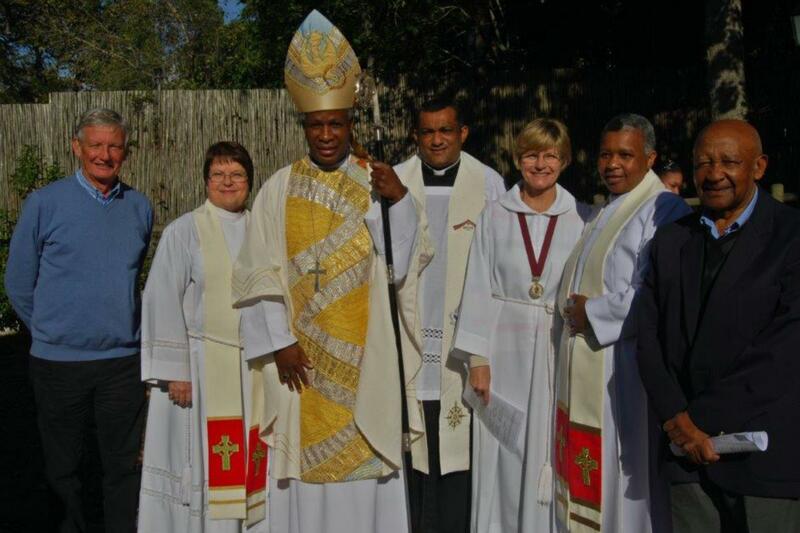 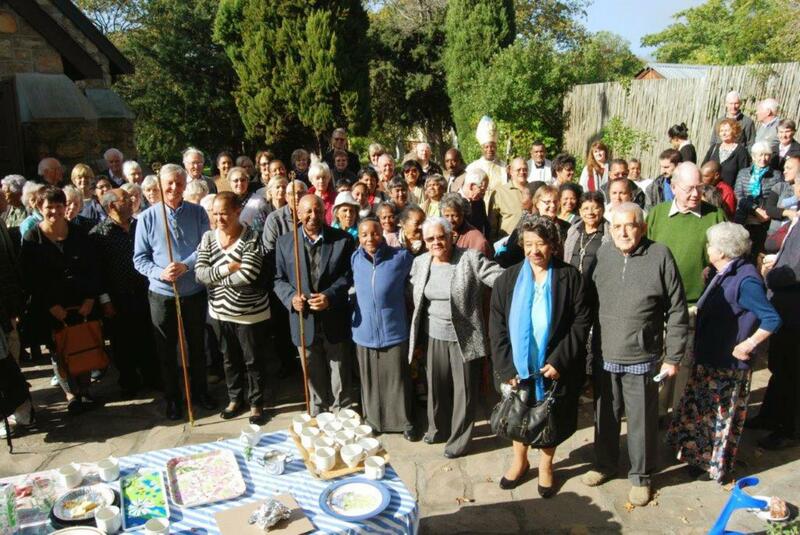 Palm Sunday Celebration (2015) led by church warden Isabella Langford and councillor Roderick van Wyk (holding the banner). 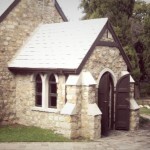 Book duty at the door! 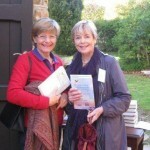 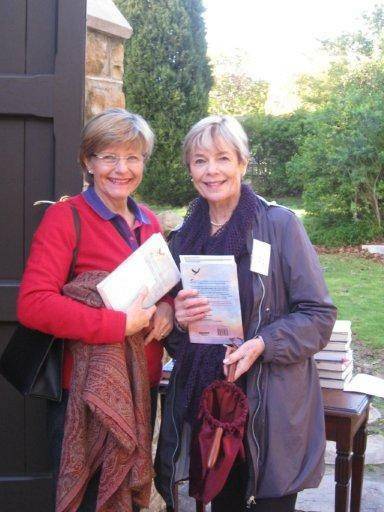 Lande McGuigan (right) hands the prayer and hymn books to Thea Ramsay. 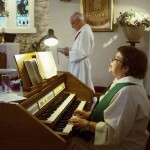 Tamara Bates lead worship on the organ twice in August, the month of compassion. 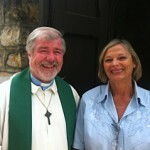 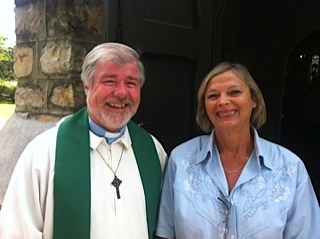 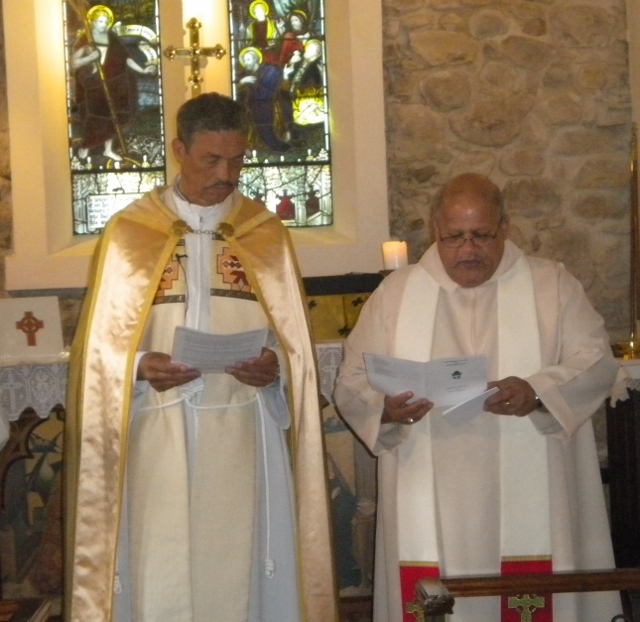 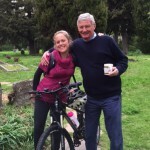 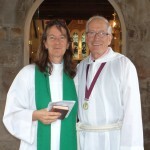 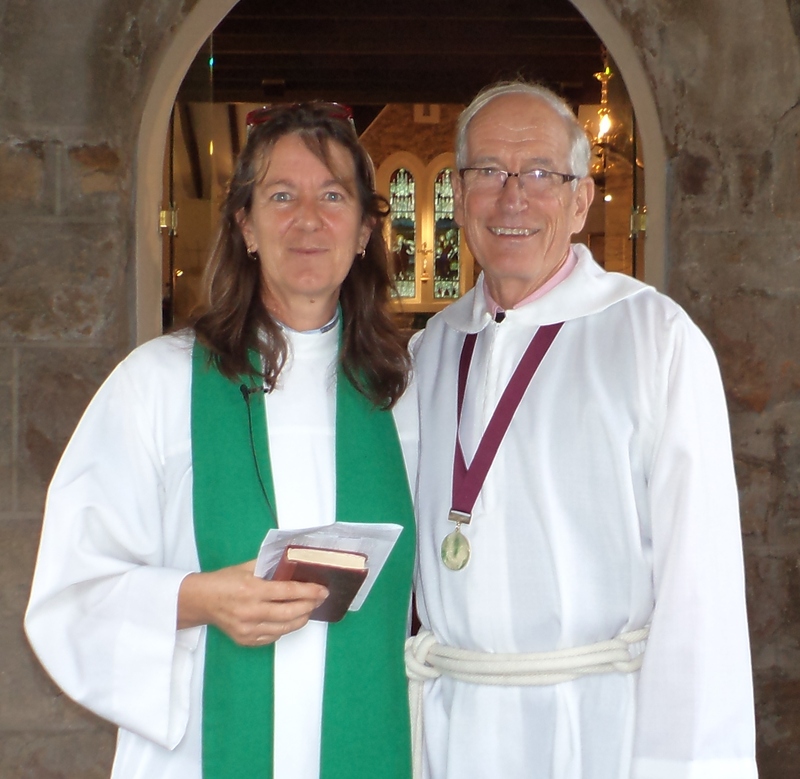 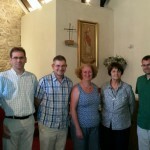 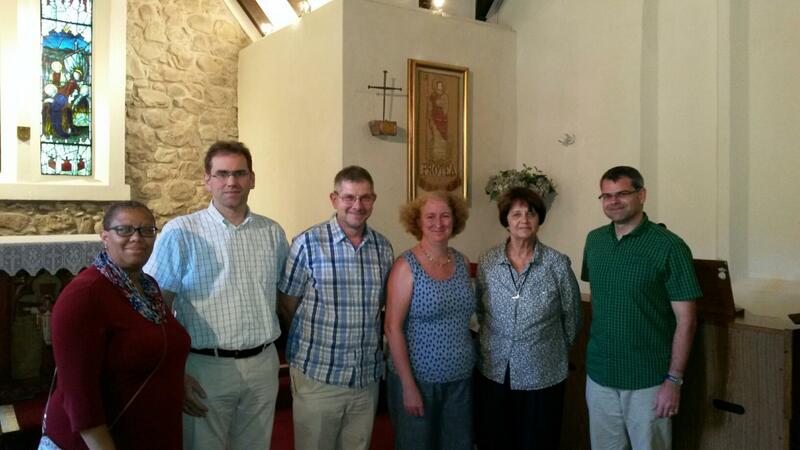 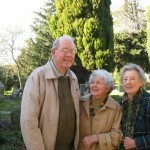 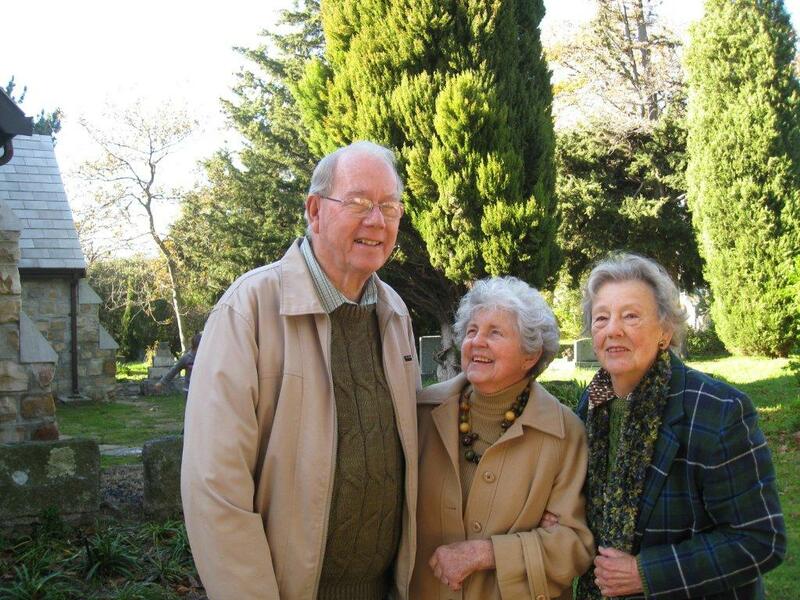 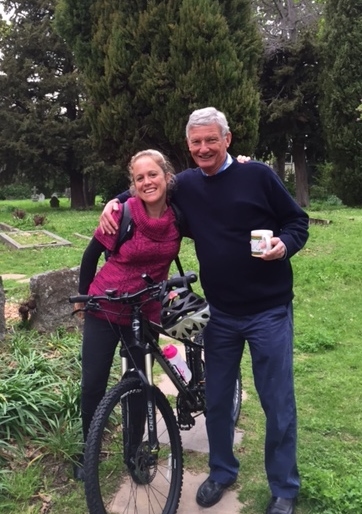 Pictured here with church warden Andrew Wilson. 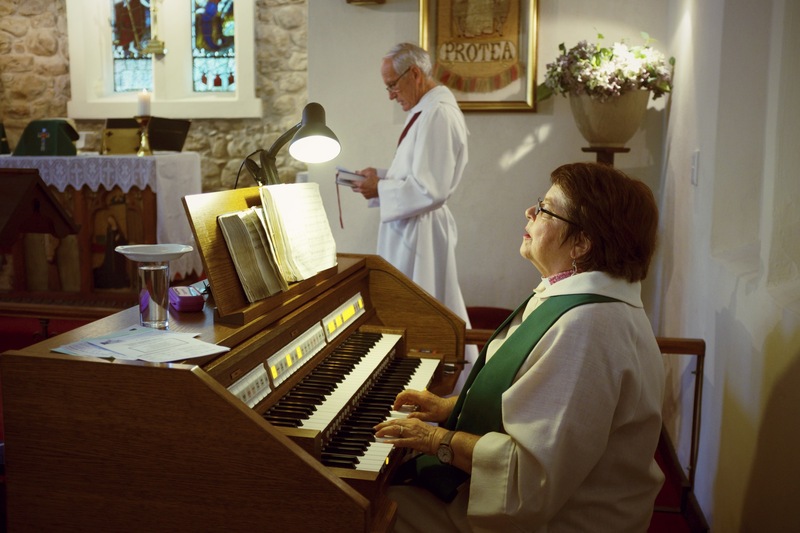 Tamara’s mother plays the organ at St John’s. 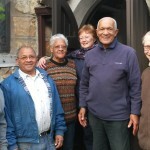 The Church Building clean-up and restore crew. 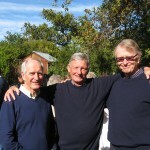 Peter Gordon, (missing from the pic). 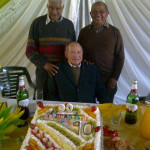 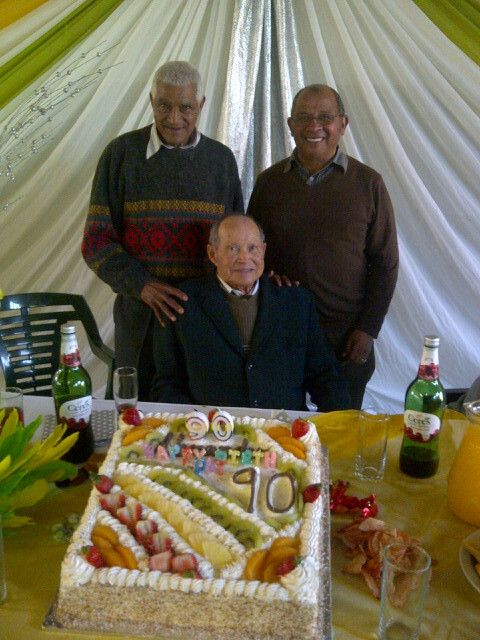 Uncle Al September with Cecil McClean at his 90th birthday party, 9th August, 2014. 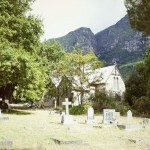 Good Shepherd-Protea church looks onto the mountains overlooking Kirstenbosch Botanical Gardens. 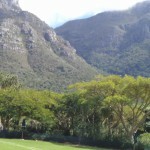 Good Shepherd-Protea ready for a Sunday service, seen from the Kirstenbosch Gardens north-west side. 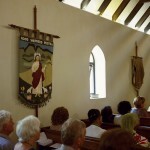 Tapestries and stained-glass windows line the side walls of the church. 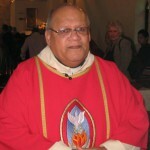 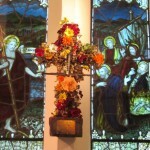 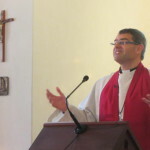 The Easter Cross commemorates Christ’s death at Good Shepherd- Protea Church, Cape Town. 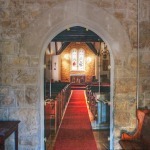 The view into the church, down the aisle. 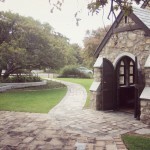 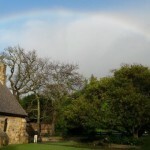 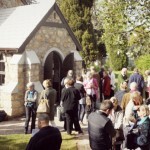 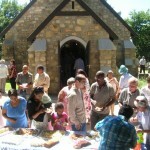 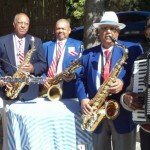 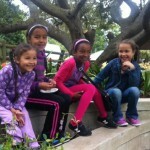 Surrounded by gardens, Kirstenbosch Botanical Gardens is a stone’s throw from Good Shepherd-Protea Church. 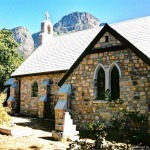 The world famous Kirstenbosch Gardens are just a few steps away – ideal for wedding photographs and a visit after a church service. 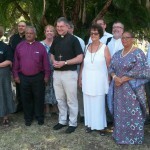 Rev Jo Tyers, (Good Shepherd Protea) Canon Dr Sarah Hills, (Coventry Cathedral UK), Rev Ashley Peterson( St Saviour’s) Bishop Garth Counsell (Table Bay), Mrs Lesley Pendleton (USA), Dean John Witcombe (Coventry Cathedral), Rev Dr Oliver Scheugraf (hidden) Germany), Mrs Jenny Wilson, (Good Shepherd Protea), Mr Dominik Kretschmann (East Poland), Rev Mark Pendleton (USA), Ms Petrina Pakoe, (GOAL Trust SA) Mr Herbert Halls (St Saviour’s). 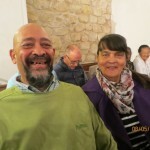 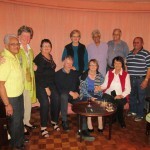 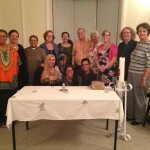 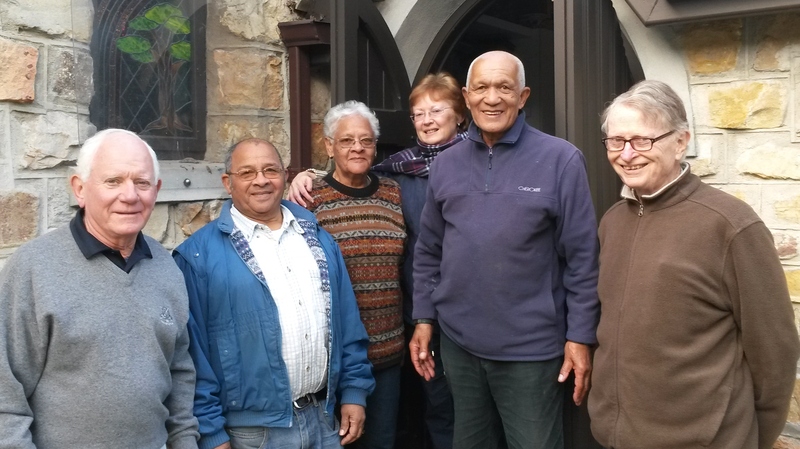 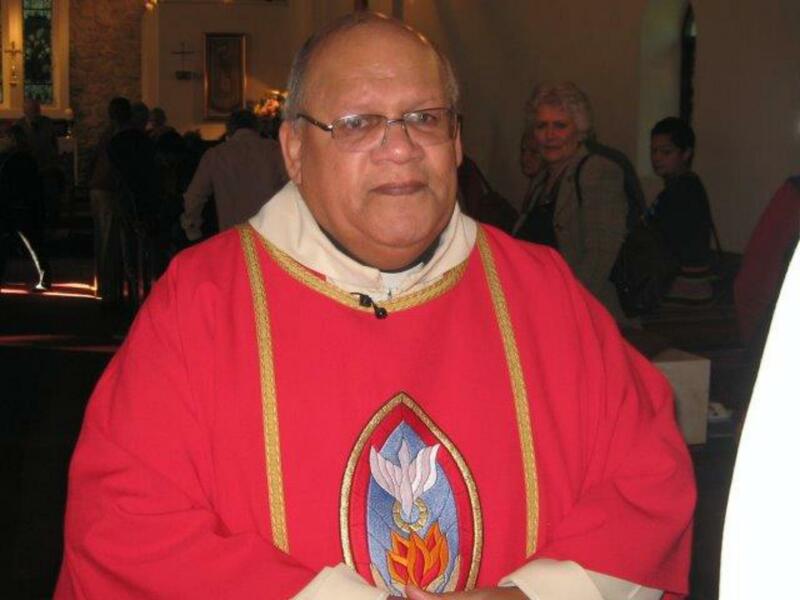 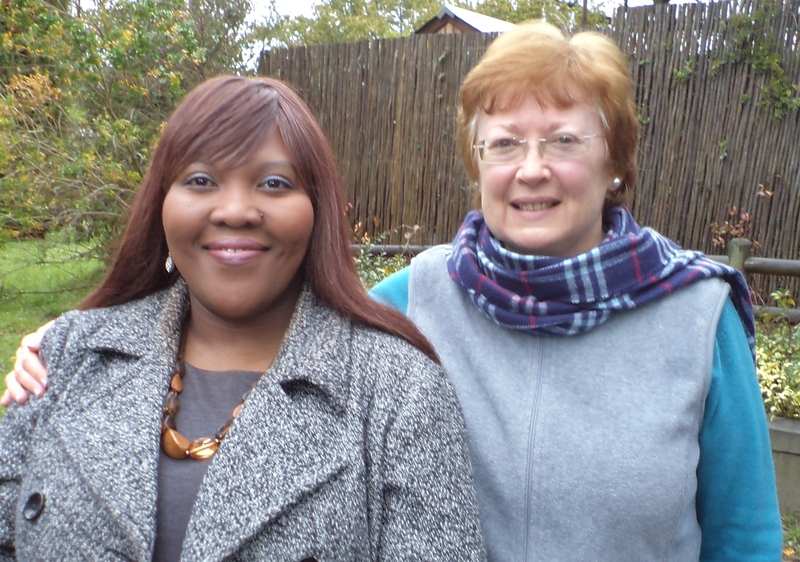 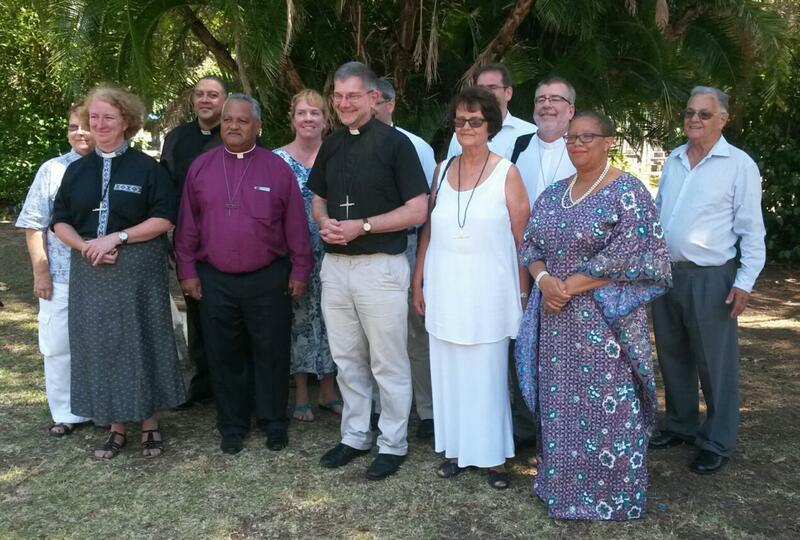 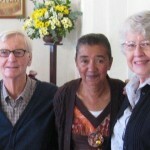 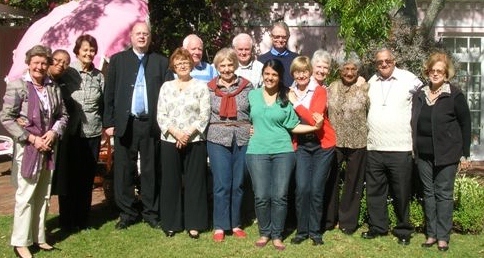 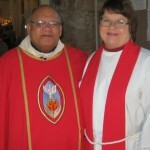 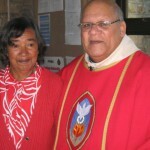 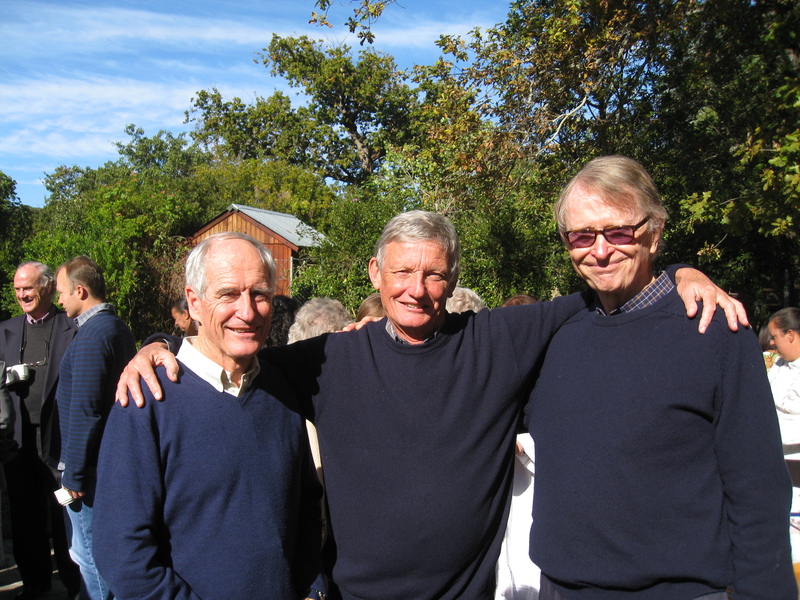 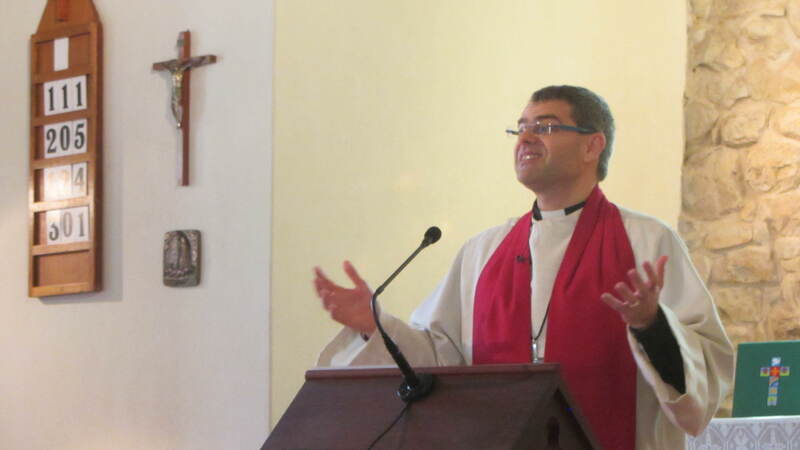 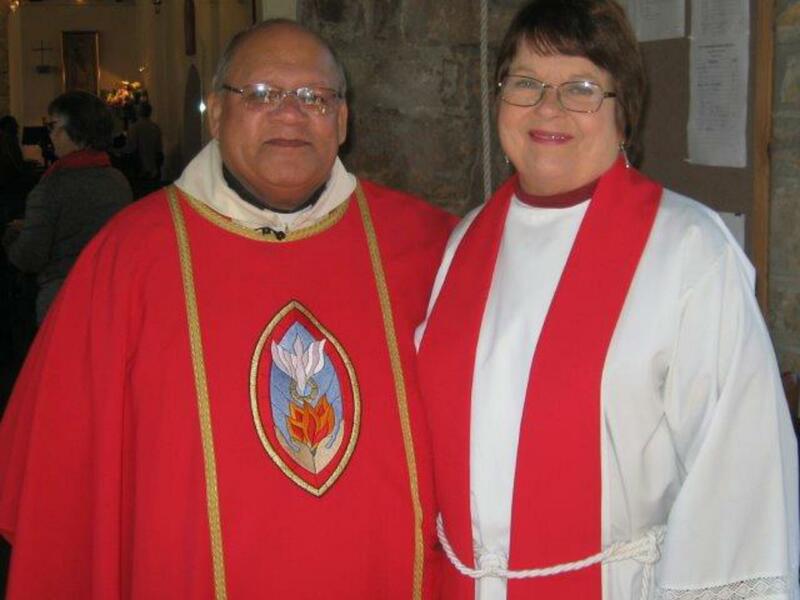 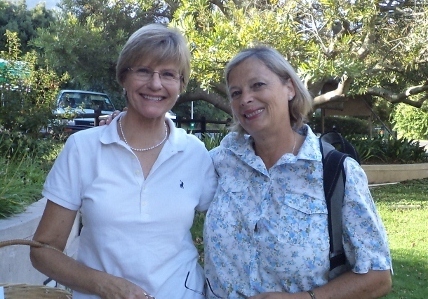 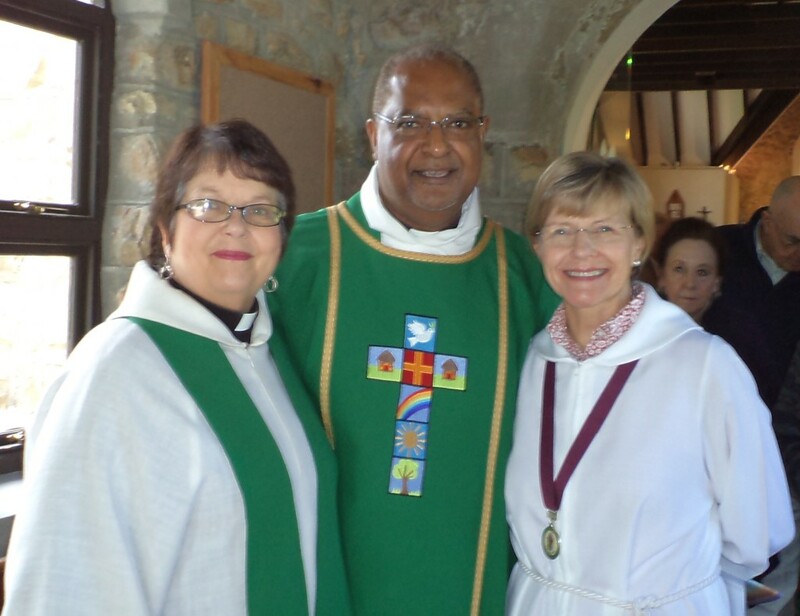 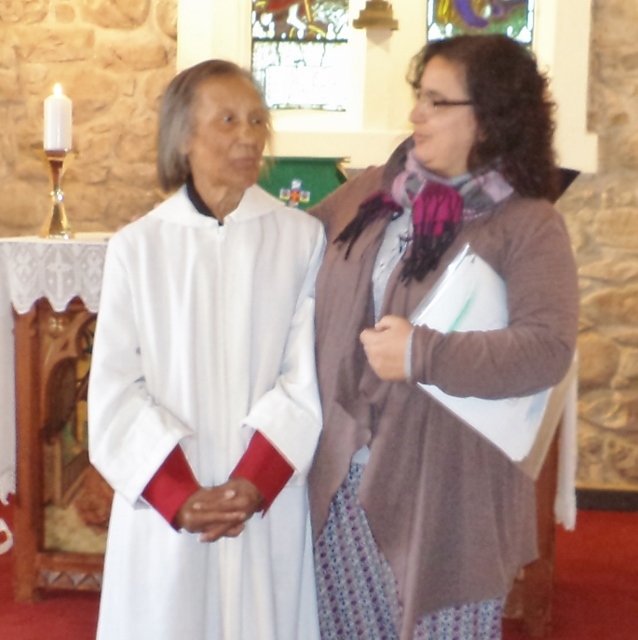 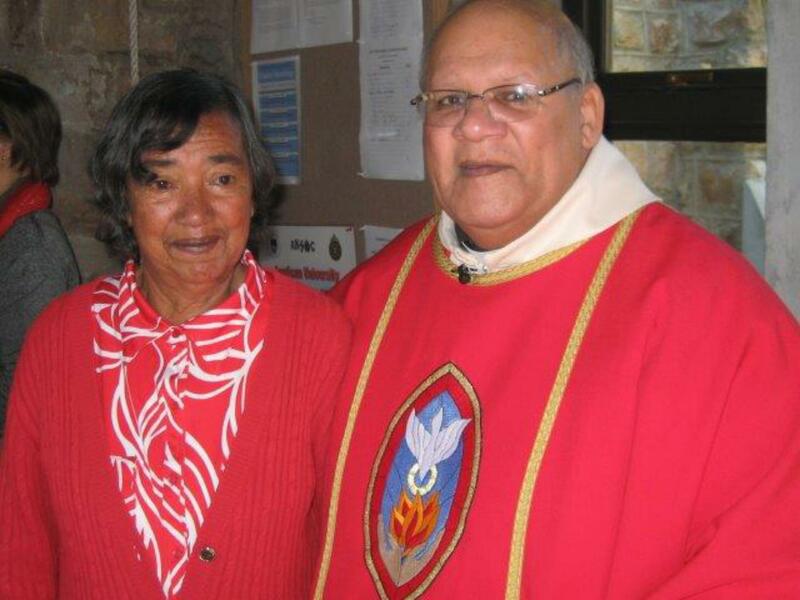 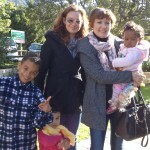 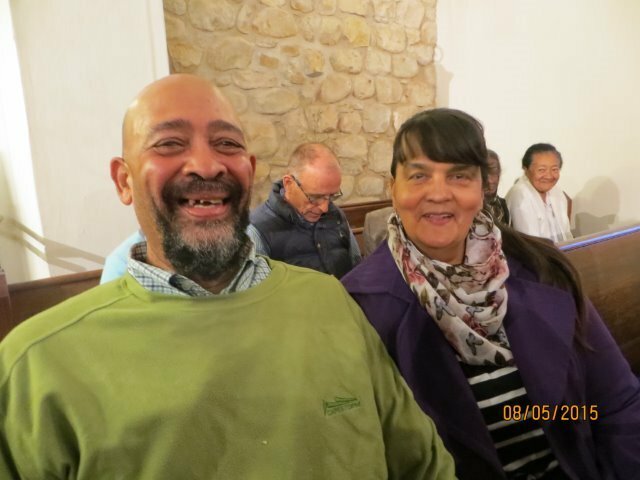 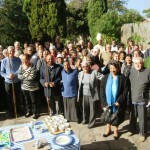 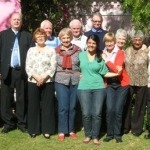 Two members of our Reconciliation team visited South Africa recently. 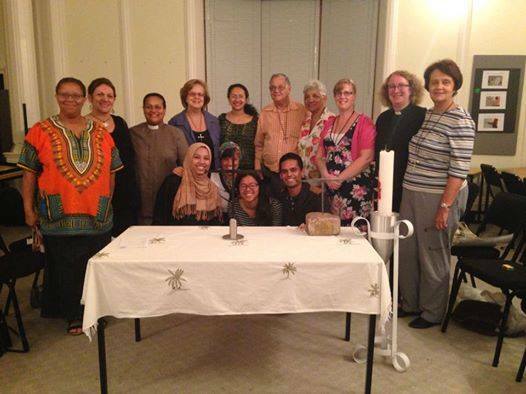 Here is a picture of the presentation of the Cross of Nails to the Goal Trust and their Face to Faith programme which brings together young adults of any faith to talk and work together. 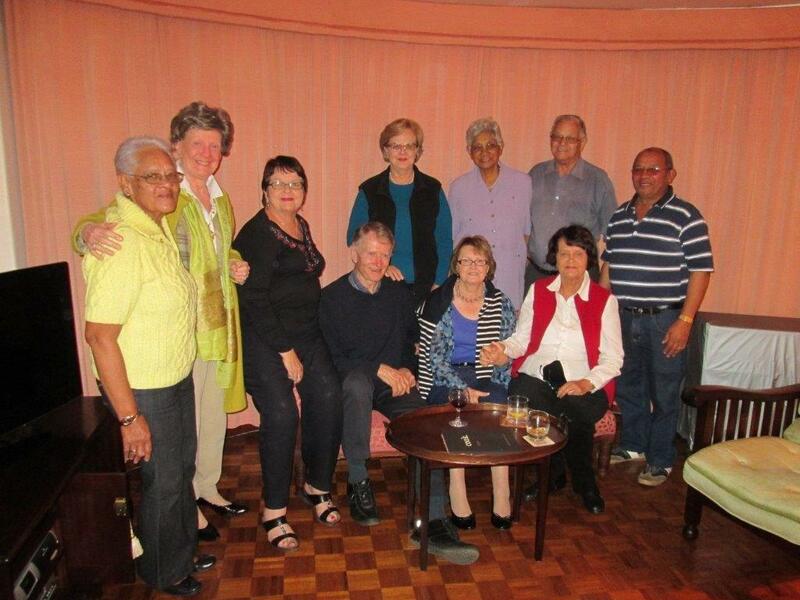 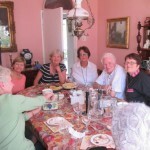 Members of the Community of the Cross of Nails in St Saviours parish at a welcome dinner for Margaret Middleton and Ann Smythe from Coventry, held at Jenny Wilson’s house on Saturday 18th April. 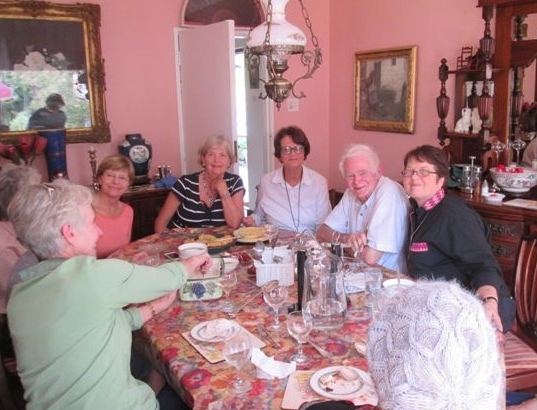 The annual Cross of Nails service is celebrated with lunch at Jenny and Andrew Wilson’s home. 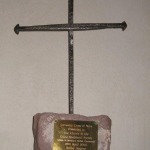 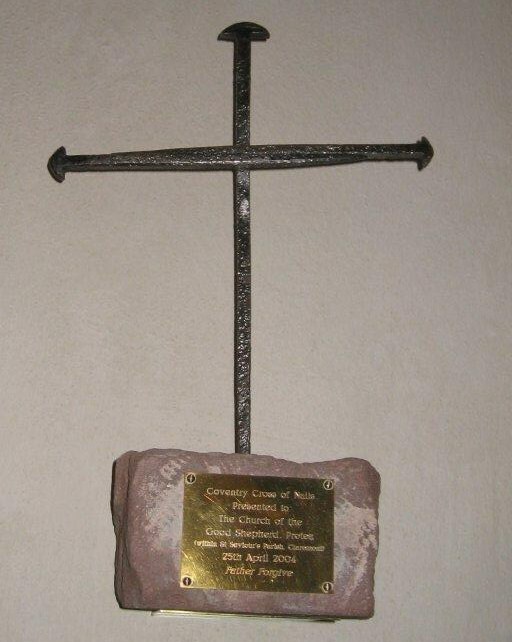 The Cross of Nails presented to Good Shepherd in 2004, a symbol of Coventry’s international ministry of reconciliation. 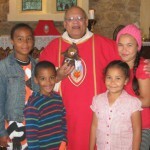 A few Miracle Kidz visit Good Shepherd for a Sunday Service. 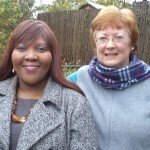 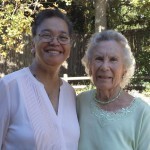 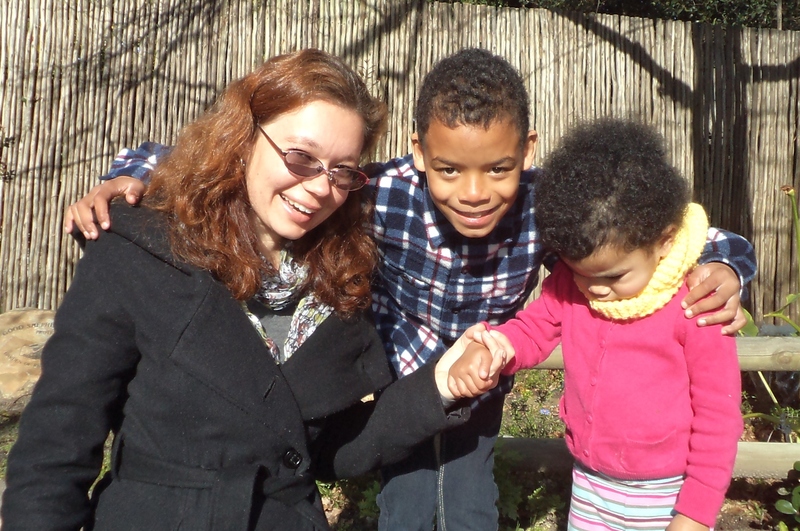 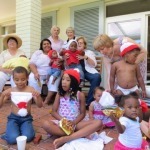 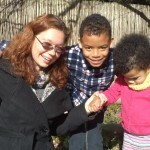 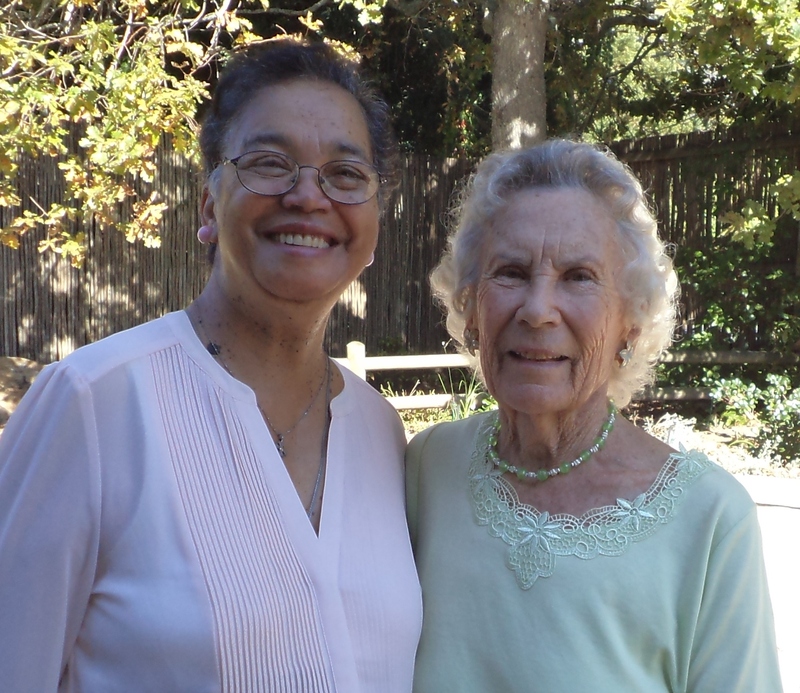 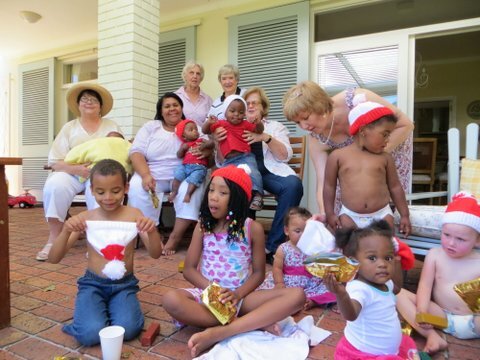 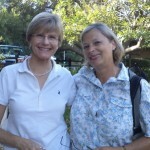 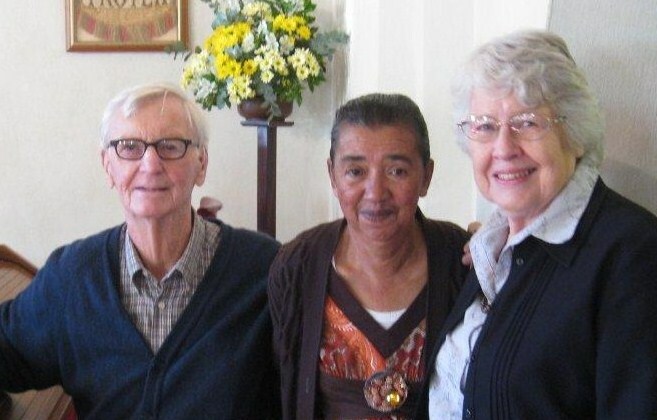 Elsie and Nadine selflessly lead this ministry offering abused and abandoned children a place of safety. 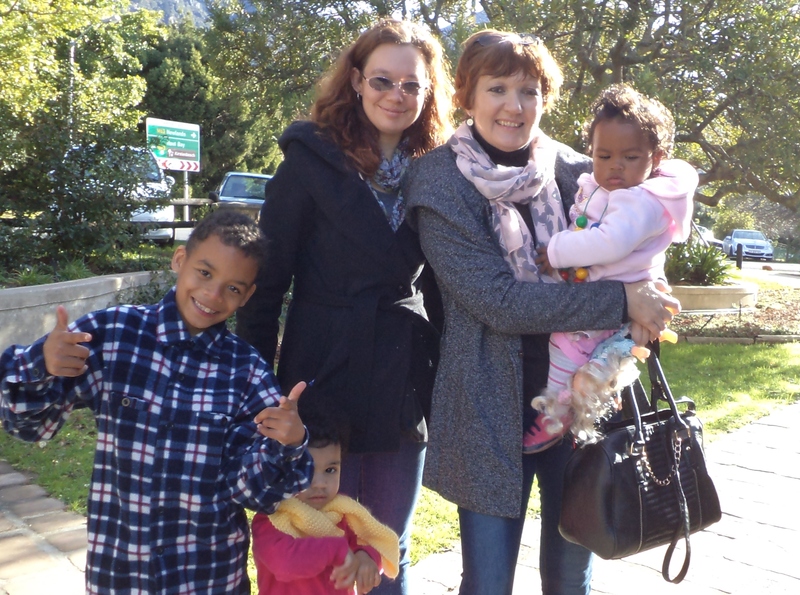 Nadine with a few children from Miracle Kidz safe house for children. 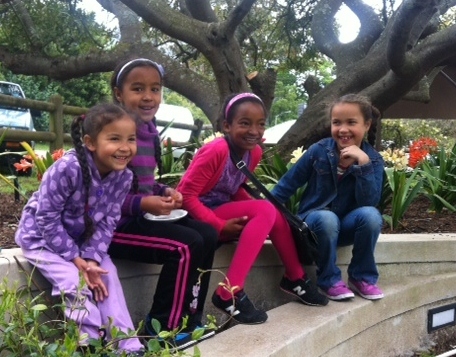 Children enjoying some fun after a service at Good Shepherd-Protea church.